Comm Eye Health Vol. 31 No. 102 2018 pp 55. Published online 21 August 2018. A 45-year-old woman in a country with limited eye care services presents with a one-week history of a painful eye with loss of vision. There is no history of injury. 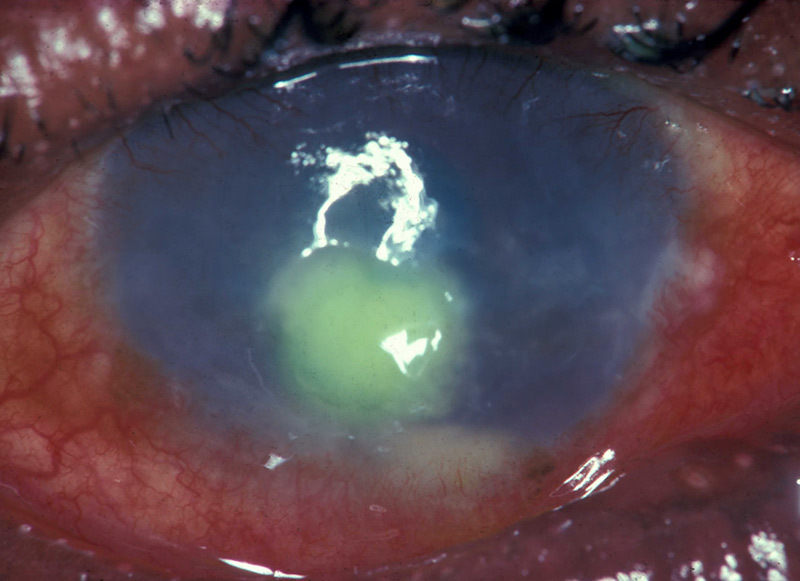 After applying fluorescein to the conjunctival sac the appearance is as shown. 2. What clinical signs are present? 3. What treatments might be useful in managing this condition?